Dravid, who will be a part of BCCI's core programme on behavioural and life coaching for young cricketers, feels that a need to broaden the horizon is imperative for young minds. 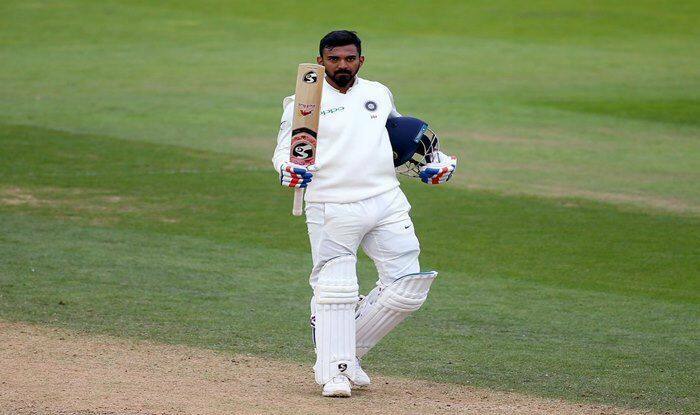 There has been no change in KL Rahul’s wretched form even after his comeback from suspension but India A coach Rahul Dravid is not worried as he has confidence in the talented opener’s quality. Rahul was suspended by the BCCI for his sexist comments on a TV chat show and the ban was subsequently lifted subject to an inquiry by a court- appointed ombudsman. The Karantaka opener, who made a comeback to competitive cricket with India A assignment, had scores of 13, 42 and 0 against England Lions in three one-day games. Asked if the purpose of playing senior team players like Test vice-captain Ajinkya Rahane, Rishabh Pant, Rahul or Hanuma Vihari was served, the former India captain provided the broader perspective. “India A is always a combination of two things. There’s always some players coming in from India (senior national team) and there are some other senior boys selectors want to see. They are looking at players some from a short-term perspective and there are other boys they are looking at medium and long term perspective. India A is a balance of both,” he explained. While he didn’t take names, Dravid indicated that there are some players that national selectors are looking purely on a short-term basis for the next two months. It could well be Pant, Rahane and Rahul, who are in the scheme of things as far as World Cup is concerned. “It’s always not about results. There are some players who we are looking at for the next 12 or 18 months. For some, the next couple of months might be important as they are trying to impress the selectors. As much as we have seen seniors like Rahane, Rahul and Vihari, we have also seen a Himmat Singh (Delhi), Ricky Bhui (Andhra) or Ruturaj Gaekwad (Maharashtra),” the coach said. There has been discussions about how India A tours and home series clashing with Ranji Trophy has affected quality of competition at the domestic level but Dravid said it’s only for the betterment of talented players. “It’s not an easy one to avoid but if you would have noticed in this series, we didn’t pick anyone who was involved in the Ranji Trophy, so we gave that importance to the quarterfinals, semi-finals and the final of the Ranji Trophy,” said Dravid. “But it’s not easy as we have to balance out the needs of some of these players. We have to develop those players and give them a level and standard that is higher than domestic cricket. If we don’t challenge our players at a level higher than domestic or first-class, how are we going to develop them to play international cricket. “Lot of these tours are reciprocal and we have to balance it out, possible try and not clash but when clash happens it’s inevitable,” he further explained. Dravid also explained how the A team’s tour of New Zealand proved “fruitful”. “Taking the team to New Zealand, I think it was a very fruitful exercise. You don’t get those conditions, opportunities. if the season clashes with ours, their is no way, we can balance it out, try and ensure there is no clash between domestic and A tours. “If we want to develop our player, then we need to challenge the players at a higher level,” he said, making his priorities clear. Dravid, who will be a part of BCCI’s core programme on behavioural and life coaching for young cricketers, feels that a need to broaden the horizon is imperative for young minds. In a nutshell, an alternative career if cricket doesn’t bring the desired results. “There’s a need to broaden the horizon and we need to look at other options also which gives them certain skills and talent. Even if it’s not necessarily formal education but something that might help them once they finish their cricket. It’s just a thought and let’s see where it leads us,” he signed off.